The handmaids are tasked with cleaning up the city in preparation of some Mexican delegates that will be visiting the city to create partnerships in trade and observe the mechanics of the Gilead cultural movement. The delegates will be visiting the Waterford home and they are determined to make a good impression. Serena warns Offred that she may be asked questions about their existence and that she must speak well of her circumstances. Serena recalls her life with Fred before the movement. They were still deeply religious and trying to have a baby. Offred is brought in to meet the Mexican delegation, the head of which is a woman who asks Offred questions about her position as a handmaid. She maintains her composure and claims to have found happiness. The head, Mrs. Castillo, also asks the other wives of different Commanders about their lives at Gilead and all claim to be happy with it. Castillo references a quote, "Do not mistake a woman's meekness for weakness," which is from a book called A Woman's Place, that Serena wrote before Gilead. She was also a passionate speaker in the conservative culture movement and even was arrested for inciting violence. Fred had been encouraging of Serena's ideas and her interest in putting them together to write a new book. They were instrumental in orchestrating the Gilead takeover and believed they were doing God's work. Nick and Offred continue their passionate affair. He steals a kiss when no one is looking. Offred visits the Commander in his office again and he excuses her when she is distracted and unfocused on what he is saying. She is about to leave but then apologises, asking if she can stay there with him. He summons her back and tells her to kiss him like she means it. She kisses him, still rather chastely, and he excuses her again to get some sleep. Offred aggressively brushes her teeth. The handmaids are gathered to prepare for a party that will honour Gilead and put on a good show for the foreign delegates. Serena orders all the disfigured (because of the punishments) handmaids to be taken away. They are not allowed to attend the party, which even Aunt Lydia objects to but goes along with anyway, promising to bring Janine back a tray of desserts. The remaining handmaids are ushered in to the party. After the takeover was enacted, Serena was shut out of the official government hearings that she helped bring about in the first place. At the party, she introduces the children of Gilead who are all brought in to be tools of propaganda for the movement. 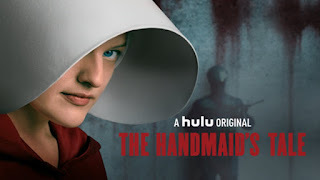 Another handmaid tells Offred that the trade deal is actually going to be about trading the handmaids, as they are what's considered most valuable in this society. Offred visits Nick and vents her fears and frustrations regarding her circumstances. She angrily tells him not to call her Offred and he agrees to call her June in private from now on. The delegates are preparing to leave and Offred tells the head the truth about the brutality of Gilead, the threats and punishments to do with the rules in place, and how she is raped every month when she is fertile. She was trying to escape but was caught first and had her daughter taken away. This life was not her choice and she pleads with them to do something. The Mexican ambassador reveals that there's nothing she can do to help with the situation, as her own country is dying with no new births in her own city having happened in six years. Offred insists that they are not objects to be traded, but human beings. The ambassador steps away to speak with the Commander. The assistant tells Offred that he doesn't know where her daughter is but reveals personal information her husband to prove that he knows him and that he's alive. He offers to get a message to him but they don't have much time for her to write whatever she wants to be sent to him.